Sonosession in partnership with the ACNM is proud to offer a hands-on scanning workshop on Saturday May 18, 2019 at the Gaylord National Resort + Convention Center. This one-day workshop begins with lecture, a hands-on scanning demonstration and a question and answer segment. The lecture will include image orientation, basic machine knobology, light physics, and first and third trimester scanning. Included in the first trimester segment will be CRL measurements, m-mode, gestational sac evaluation, ovaries and anomalies. 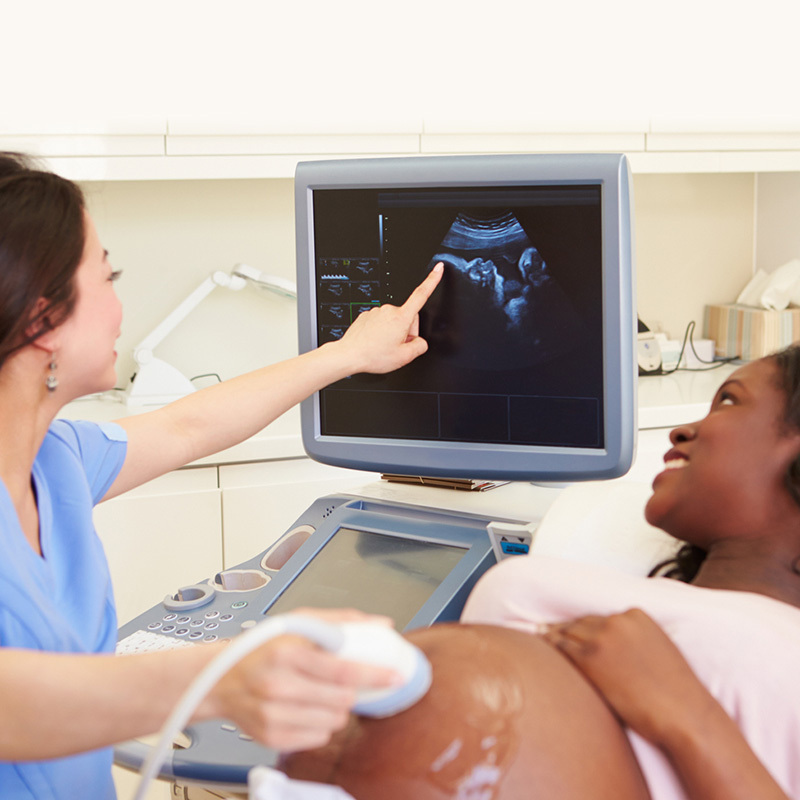 The third trimester segment will include fetal lie, viability, placenta, amniotic fluid assessment, biometry to include fetal weight percentile and the biophysical profile. Each participant will receive 2 hours of hands-on scanning time in our live scanning session. Members will be divided into groups of 4 depending on skill level and desired outcome. Each group will rotate through two stations. Members will also be given access to additional lecture through Sonosession’s online learning platform. This will allow participants to prepare for their hands-on scan session and maximize their learning objectives. · Seven week transvaginal scanning phantom- This phantom provides hands on scanning technique for measuring the crown rump, evaluating the gestation sac and yolk sac, identifying the uterus and ovaries. This includes transvaginal image orientation and transducer manipulation technique. · Ectopic transvaginal scanning phantom- This phantom contains a 6 week ectopic pregnancy allowing the student to properly measure the endometrial thickness, identify fluid in the posterior cul de sac, evaluate ovaries and an ectopic pregnancy. · Live non-gravid pelvic- Members can practice transabdominally and transvaginally- evaluating the uterus, endometrial thickness, ovaries and cervix. 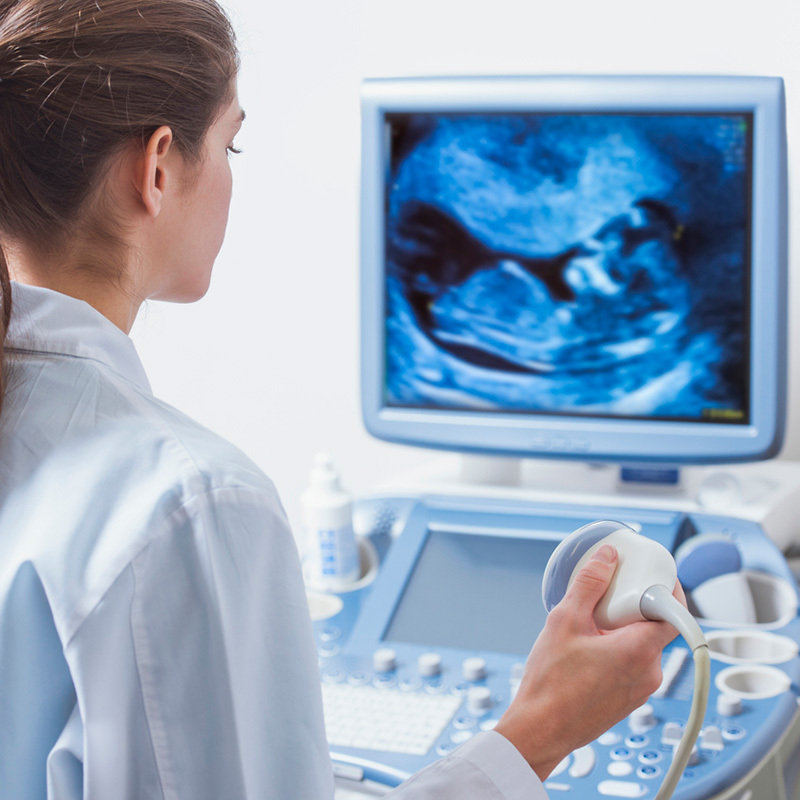 · Live third trimester pregnancy- Members will have the opportunity to practice biometry, the biophysical profile, amniotic fluid assessment, placenta location, fetal lie and cervix.